TCM - cultural practice or valuable science? Once associated with musty medical halls frequented by the older generation of Chinese, traditional Chinese medicine (TCM) now has a larger base of believers. It's been given a boost by the Nobel Prize in medicine being awarded last year to China's Tu Youyou for extracting the anti-malarial drug artemisinin from sweet wormwood. Also, last December, Singapore Athletics signed a one-year deal worth $280,000 with a TCM company so that its athletes can use TCM treatments for strains and aches. Singa Charity Medical, a new TCM clinic near Little India, said it has started to serve patients beyond its usual Chinese base. Biomedical interest in TCM has fuelled a slew of clinical trials attempting to establish the efficacy of various TCM procedures and herbs. But there are doctors schooled in orthodox medical practice who remain circumspect. In a recent op-ed in The Straits Times, Dr Lee Wei Ling, senior adviser to the National Neuroscience Institute, argued that there should be more research to establish the efficacy of TCM interventions. Patients desperate for a cure may seek alternatives to Western medicine and end up paying a lot of money for treatments that do not work. Her concern as a doctor and a scientist is a dose of healthy scepticism about untested treatments. What can TCM advocates and practitioners do about this? Patients and mainstream medical institutions are increasingly open to TCM. Medical research centres such as the UCLA Centre for East-West Medicine, founded in 1993, have long espoused the virtue of "integrative medicine" that blends modern Western medicine with TCM. In Singapore, the Nanyang Technological University offers a double degree in TCM and biomedical science that was started back in 2005. 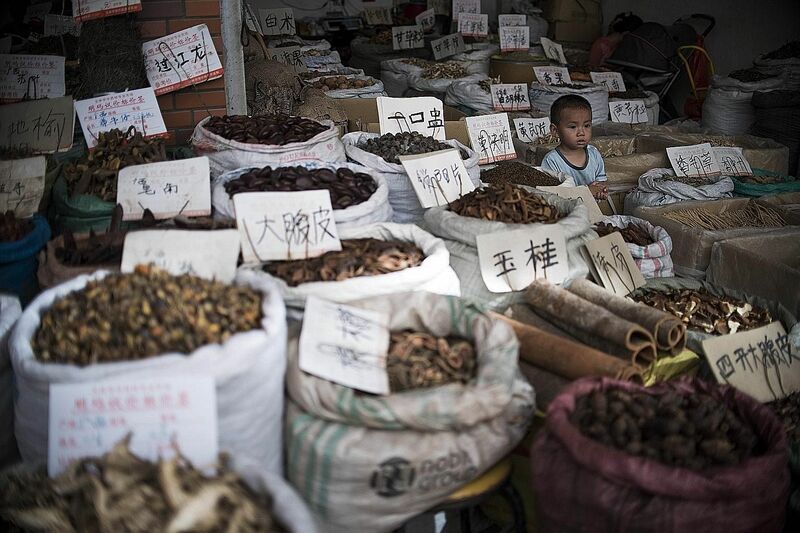 A number of public hospitals already have TCM operators co-located on their premises, with some hospitals themselves providing TCM interventions. For example, the National University Hospital operates an acupuncture clinic under its Department of Rehabilitation Medicine. Despite such signs, TCM is far from being fully integrated into the biomedical mainstream. According to medical researchers Kelvin Chan and Zou Jian-Xiang, in a book titled The Way Forward For Traditional Chinese Medicine, many orthodox medical health professionals who practise acupuncture and have seen patients benefit from it have dispensed with, or even ignored, TCM concepts. These health professionals are happy to mine TCM interventions if they prove to be effective, but have little interest in the alternative etiology, that is, causal explanations utilising traditional concepts such as "qi" which refers to the "life force" of one's body. In fact, scientific research into TCM has aimed to identify the "actual" biochemical basis for the observable effects of its treatments, and replaced traditional concepts with biochemical processes. For example, some have argued that an oft-used TCM concept - the "imbalance of yin and yang" - which is used to describe an imbalance between the complementary energies that make up "qi", can be better understood using the more precise and developed biological concept of homeostasis that regulates a body's internal environment in response to external conditions to maintain stability. So far, only academics are interested in this issue - with advocates saying that TCM is grounded in a keen observation of the body while those who are critical say Western medicine continues to evolve while Chinese medicine is "pre-scientific" and based on superstition. However, these unresolved questions about the scientific status of TCM have urgent policy implications for the organisation of healthcare in Singapore. Should we have a dual-track healthcare system whereby TCM operates parallel to Western medicine? Or should we seek to integrate TCM with biomedicine? Besides throwing up herbs and interventions for testing and therefore cooptation by the biomedical establishment, does TCM also offer a useful approach to healing that should be preserved? The solution to the uncertain status of TCM is not to wait for the outcomes of academic debates. The TCM community can muster collective will to decide its own fate. It can learn from alternative healing practices that have now become part of mainstream medical care, namely chiropractic treatments, and those that have not, such as ayurveda. Chiropractic treatments are now seen as semi-legitimate. For this to happen, chiropractors had to restrict claims about the scope and efficacy of such techniques and allow results to slowly speak for themselves. More importantly, they discarded the spiritualist language from chiropractic therapy's "metaphysical heritage". Early chiropractors believed that disease was caused by interruptions in "innate intelligence", a life force that represented God's presence in man that occupied the spine. Today, some general practitioners even make referrals to chiropractors. Contrast this to ayurveda, an Indian healing practice that has decided to position itself as a cultural and religious practice. In the United States, ayurveda's ideology has gradually shifted from a "medical" to a "metaphysical" emphasis. As a cultural practice, ayurvedic practitioners do not have to be scrutinised by the standards, tests and regulations required of scientific medicine. TCM can either adapt to the institutionalised rules and requirements of scientific medicine, or it can theorise itself as a cultural practice. For some time now, TCM has occupied and benefited from this strategically ambiguous position. But with TCM increasingly being seen as a medical option, its practitioners should learn the language of science and incorporate knowledge of modern Western medicine into their professional education. Nobel Prize winner Tu Youyou has been lauded for having the empirical knowledge of TCM and the scientific training of biomedicine. But we cannot rely on individuals or pockets of pro-TCM Western doctors and researchers to unify medical knowledge. The TCM community as a whole should collectively learn the language and methods of science and gradually discard its cultural or metaphysical roots. This is because the diversity of culture adds richness to our experience, but in science, it is the unity of knowledge that matters. Justin Lee is a research fellow at the Institute of Policy Studies. He studies issues relating to society and identity, including how groups on the peripheries adapt and professionalise themselves.